Lucozade continues to be the dominant brand within the energy drinks market, and the adjoining sports drinks industry. Using YouGov BrandIndex data we can explain the success of the brand, and why it is still a favourite among consumers. 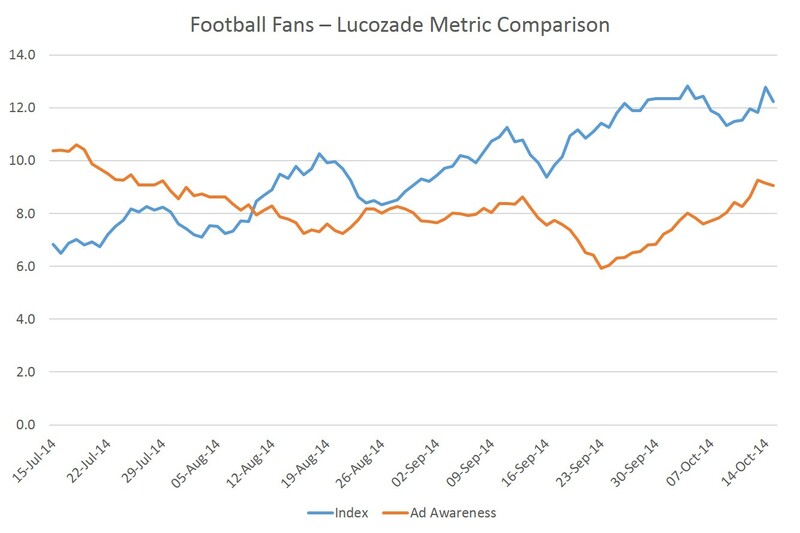 Our BrandIndex tool tracks both Lucozade Energy and Lucozade Sport. Both drinks show strong scores across a variety of our metrics and outshine their rivals in the sector. Firstly, if we consult our Index rating (the combination of a number of metrics including; value, satisfaction, reputation, impression, recommend), we see that both Lucozade brands are ahead of competitors Gatorade and Powerade - among those that are aware of the companies. As the chart shows, both Lucozade brands have a strong positive score. 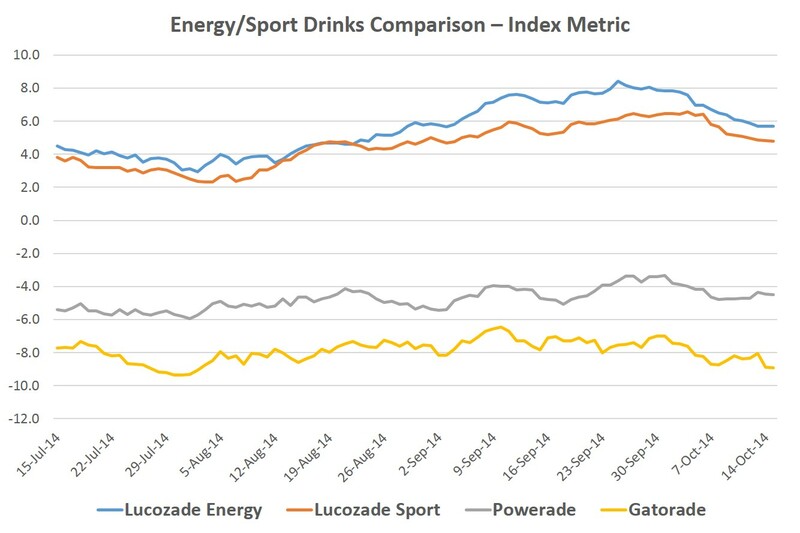 Over the last four months Lucozade Energy has averaged +5.6, while Lucozade Sport has a score of +4.6. Conversely, two of the brand’s rivals have negative scores, Powerade has a score of -4.8 and Gatorade’s is -7.9, highlighting the disparity and the dominance that Lucozade has over its competitors. Lucozade, particularly the ‘Sport’ version has centred its ad-campaigns around high profile sport stars, including footballers Steven Gerrard, Alex Oxlade-Chamberlain and Gareth Bale. One obvious intention of this is to appeal to football fans, and those who play the game as a leisure pursuit. YouGov data can tell us who follows and participates in the game, as well as their opinions about the drink. If we examine figures for the Sport drink in particular, we see a far higher Index rating among football fans and participants. Among this group, the average Index score is +9.7, higher than the average of all respondents. It is clear that this group are more tuned into the brand advertising too. YouGov’s Ad Awareness metric (whether a respondent has seen or hear any advertising from the brand in the last two weeks) shows a higher rating in the group, an average score of 8.1 compared to 6.1 in all respondents. It is clear therefore that it is not just in general terms that Lucozade is having success, its marketing plans and targeted demographic work is paying dividends too. They have managed to remain resolute in the face of scientific disputes of their marketing straplines, continuing to be a trusted and valued product in the energy and sports drinks sector.